Grand Central Publishing, 9781538729427, 304pp. Chungah Rhee is the writer, recipe developer, and photographer behind the incredibly popular blog Damn Delicious. She has a Bachelor's degree from the University of California, Los Angeles, and a Master's degree in Public Health at the University of Southern California. Started in 2011 as a hobby, Damn Delicious has since grown to become a full-time job and business. 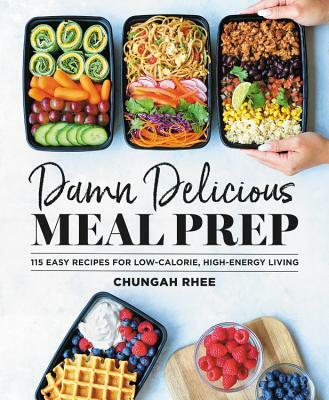 Chungah and her recipes are regularly featured in major media such as People, Better Homes & Gardens, Bon Appetit, Cooking Channel, HGTV, Redbook, The Kitchn, Huffington Post, and Buzzfeed, among others. Her first book, Damn Delicious: 100 Super Easy, Super Fast Recipes, was published in 2016 by Oxmoor House. Today, Chungah cooks nonstop alongside her favorite assistant, Butters, the Insta-famous corgi (you can find him hamming it up @butterscorgigram). Chungah, Butters, and her soon to be husband, Ben, all live, play, and eat in Los Angeles.